April 10, 2019 Bheerathida Rattakul, M.D. In order to be effective, sunscreen products should offer protection against UVA-I, UVA-II and UVB rays. Given the hot sunlight found in Thailand, sunscreen products used should come with an SPF rating of 30-50, a PA rating of over 3+ or a PPD rating of over 10. There are no sunscreen products that offer 100% protection against both UVA and UVB rays, so applying sunscreen products should be viewed as just one way of preventing DNA damage at skin level. Another thing which we should also be doing is staying out of direct sunlight altogether. Looking back at the sunscreen products market of around 10 years ago, you would find that there was a lack of variety with regard to how products responded to the needs of consumers. Moreover, there were other issues involved, such as products with high SPF ratings that left skin sticky to the touch, meaning that the skin would be oily and susceptible to spots. Where physical sunscreen was used, it would leave skin looking unnaturally pale, while those older products were often not as effective in offering long-term protection against the sun’s rays, so freckles and sun spots were unavoidable, no matter how much or how often the product was applied. UVA I and UVA II rays are particularly harmful to the skin as they can penetrate down into the deeper dermis layers of skin, leading to collagen damage, making it the leading cause of sagging skin, freckles and skin cancer. UVA I or long UVA rays are the most damaging in this regard because UVB rays do not penetrate so deeply into the skin. These rays are only capable of reaching the epidermis layer of skin, thereby making them responsible for blemishes and sunburn. 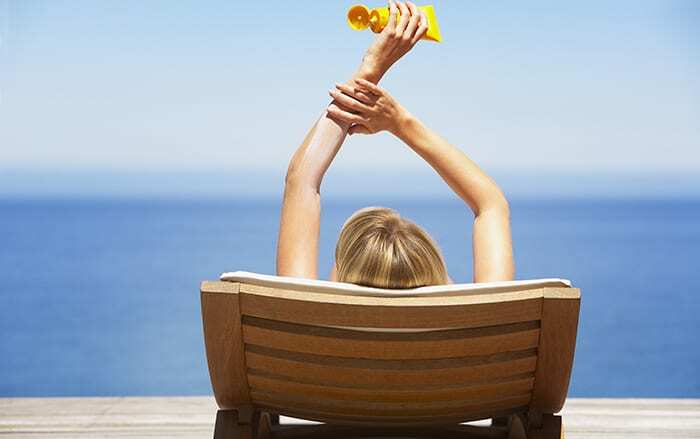 Physical sunscreen Chemicals which act as a shade-like screen that reflect or deflect UV rays away from the skin. The two major chemicals which provide this protection in these products are titanium dioxide and zinc oxide (offering protection against UVA-I, UVA-II and UVB rays). Chemical sunscreen These ingredients absorb radiation from the sun’s rays to ensure it cannot penetrate the skin, and are readily available in most sunscreen products (offering protection against all forms of UVB rays but the amount of protection provided against UVA-I and UVA-II rays differs from product to product). Hybrid sunscreen These hybrid sunscreen ingredients offer both reflective and absorption qualities, such as bis-benzotriazolyl tetramethylbutylphenol or Tinosorb® M (offering protection against UVA-I, UVA-II and UVB rays). All forms of sunscreen offer protection against UVB rays but the question is whether or not they also provide protection against UVA-I and UVA-II rays. In addition to the claims made by each sunscreen product, we can look out for the following ingredients on the product’s labelling to see whether or not it offers the right level of protection. Chemicals that protect against damaging UVA rays, meaning both UVA-I and UVA-II rays in addition to UVB rays, include titanium dioxide, zinc oxide, butyl methoxydibenzoylmethane (avobenzone), bis-ethylhexyloxyphenol methoxyphenyl triazine (Tinosorb® S), drometrizole trisiloxane (Mexoryl® XL), terephthalylidene dicamphor sulfonic acid (Mexoryl® SX) and methylene bis-benzotriazolyl tetramethylbutylphenol (Tinosorb® M). The international standardized assessment for UVB protection is called the SPF (Sun Protection Factor) rating. Simply put, an SPF rating of 30 means that the product provides over 30 times the normal protection against harmful UVB rays. Normally, when our skin is exposed to direct sunlight for 15 minutes, it will begin to burn, so the application of sunscreen with an SPF rating of 30 means we can stay in the same sunlight for 30 times longer, namely 450 minutes (15 x 30 = 450) or around seven hours. If we wish to stay in the sun for any longer than this, repeated application of the product is necessary. Something to be aware of is the amount of cream required to give the level of SPF protection indicated on the product’s label, with this amount being half a teaspoon when applied to the face and neck (for the rest of the body, roughly 1-2 tablespoons for the arms and legs should be sufficient). An SPF rating of 30 gives protection against 97% of UVB rays, while an SPF rating of over 50 protects against 98% of UVB rays, so given that there is a mere 1% difference in the level of protection, it may not be necessary to select a product with a particularly high SPF rating. Additionally, the Thai sunscreen industry allows claims of SPF 50 and where products offer greater protection than this, they will only specify a rating of SPF 50+. For the swelteringly hot sunlight found in Thailand, which has a powerful UV index rating , it is recommended that products with SPF ratings of 30 and above are selected. There are currently no internationally recognized ways to accurately assess UVA protection, although PPD and PA (+) ratings are commonly seen on products. PPD (persistent pigment darkening) ratings inform consumers as to how much more protection a product offers against harmful UVA rays than when not applying such a product. Products with PPD ratings are most commonly manufactured in Europe or are developed for sale in Europe and, if you are choosing to use said products, a PPD rating of over 10 is advisable. For effective protection against the sun in Thailand, it is recommended that products offering PA 3+ (PA+++/PA++++) are utilized. 3.What products are most suited to those with skin allergies? Choose products that contain zinc oxide and titanium oxide (physical sunscreens) because they do not contaminate or penetrate the skin, nor do they block pores. Avoid products containing alcohol because it has the potential to produce free radicals in the skin, as well as being a potential irritant for those who suffer from skin allergies. We should apply sunscreen at least 30 minutes prior to sunlight exposure to allow the chemical sunscreen ingredients to properly soak in (although if that product only contains physical sunscreens, there is no need to wait). If you plan to get wet or are someone who perspires a great deal, products which are water resistant (offering sun protection for up to 40 minutes while in the water) or very water resistant (offering sun protection for up to 80 minutes while in the water) are advisable. Such products tend to contain chemical sunscreens that are specially designed to be resistant to water, although these products usually leave the skin looking a little oily due to the ingredients creating a water-resistant sun film. If you are not planning on getting wet, there is no need to use such products. If however there is a chance that you will partake in any activities that lead to getting wet, it is recommended that you apply said products every 1-2 hours where possible. Find products that are suited to your individual skin type. There is currently a huge variety of sunscreens available, whether in the form of creams, lotions gels or sprays. Hence, for people with oily facial skin, gels or sprays are recommended, while for those who plan on water-based activities, thick creams are more suitable as other types may be more likely to wash away, despite claiming to be water resistant. For women with a strict beauty regime, issues regarding sunscreen not being the same color as foundation or facial powders are common. It is therefore advised that a small sample bottle be used first to ensure that the final product choice will be compatible with the regular makeup. There are also products currently available which help brighten the skin or contain antioxidants that can prevent premature skin ageing. Thus, anyone wishing for cleansed, firmer-looking skin, alongside adequate protection against harmful sun rays, should select these types of product. Sunscreen products should not be stored in refrigerators because lowering the temperature could result in decreased efficiency with regard to the protection provided by the chemical sunscreens they contain. This is because cooling produces crystallization in the chemical sunscreen group, meaning they separate out from one another. It is therefore recommended that sunscreens be stored in a cool, dry place, away from direct sunlight. Also, where the use-by date has expired, the product should be disposed of straight away. One key factor which I’d like to leave you with is that there is no product available anywhere which can offer 100% protection against harmful UVA and UVB rays. Hence, applying sunscreen should be seen as just one way to prevent the sun’s rays damaging our skin’s DNA. In addition, we must also be careful to avoid direct exposure to sunlight between the hours of 11 a.m. to 1 p.m., as this is when the sun’s UV rays are at their strongest. Keeping in the shade or avoiding the sunlight as much as possible, as well as regularly wearing sunglasses that offer protection against UV rays damaging our eyes, are also highly recommended. Delving Deep Into Sun Protection for the 4.0 Era Given the hot sunlight found in Thailand, sunscreen products used should come with an SPF rating of 30-50, a PA rating of over 3+ or a PPD rating of over 10. Have you ever registered as a patient at Samitivej Hospital? 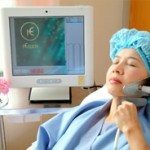 What is your Hospital Identification Number (HN#)? Copyright © 2019 Samitivej PCL. All rights reserved.